KUWAIT — Googly eyes have been known to provide hours of entertainment to crafters of all ages, but the creator undoubtedly never thought they would be used in the same manner as fish selling staff in Kuwait. 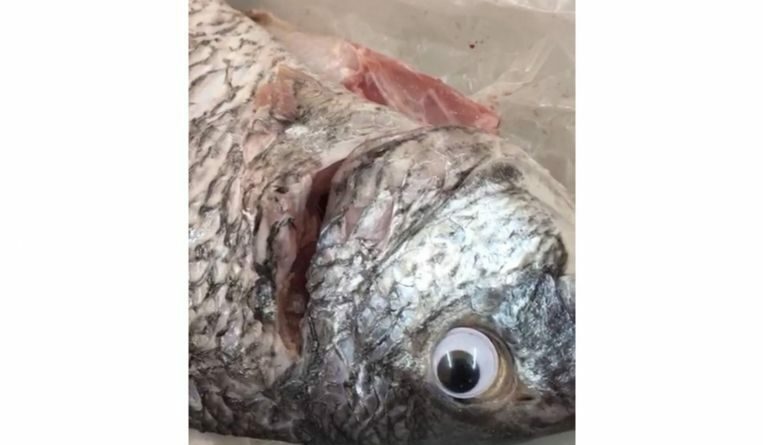 A woman posted a video online on Aug. 31 after she arrived home and realized the fishmonger had glued googly eyes on fish to disguise the freshness of the product. Fishermen, restaurateurs and many frequent seafood shoppers describe the tip to buying fresh fish is to look for crystal clear eyes that are still plump, wet and shiny, not sunken. When the googly eye was peeled away from the fish, a sunken, yellow eye was displayed beneath. After the video was posted, the fishmonger was immediately shut down by the Ministry of Commerce and Industry, according to The Straits Times. Criticism has come from users who question the dishonest tactics that could have been potentially dangerous, but many also found humor in the bizarre solution to attract business. According to BBC News, another fishmonger was brought under fire earlier in summer for stuffing fish with steel nails to increase the size, thus upping the market value. To add insult to injury, the United Nations (UN) has also targeted Kuwait in the past for illegal fishing practices that threaten the biodiversity of the fish. The UN Fish Stock Agreement, adopted in 2011 by the General Assembly, set down resolution in attempting to solve the dilemma with Kuwati officials and through the international peace organization.